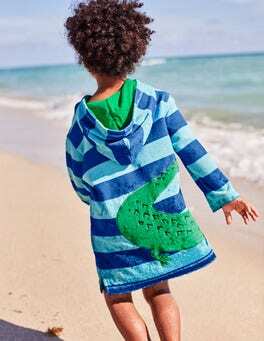 Our soft towelling throw-on is just the thing to keep your little one warm and dry at the beach. With handy poppers at the front, it's a doddle to put on and will get your baby feeling nice and cosy in no time. 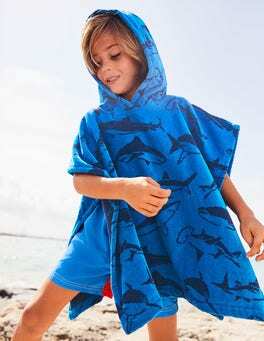 When it's time for a break from the water (and maybe an ice-cream) keep off the chills with our soft towelling poncho. This seaside essential in 100% cotton is easy to throw on and easy to throw in the wash. We’ve even added a hood to keep things extra-cosy.